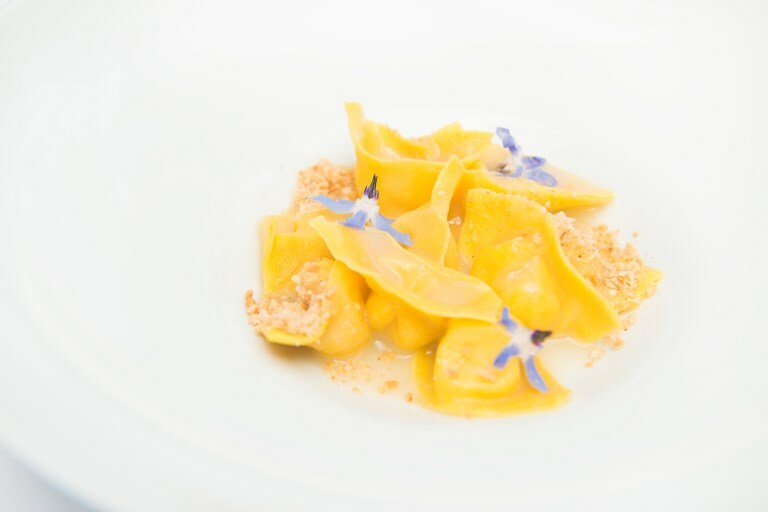 Tortelli, or tortello is a type of filled pasta similar to ravioli, traditionally served in a buttery sauce. 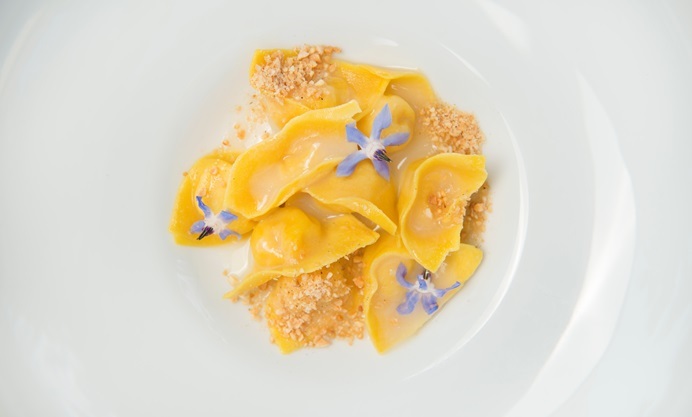 Aurora Mazzucchelli puts an unexpected twist on this dish with the addition of lavender to the filling. 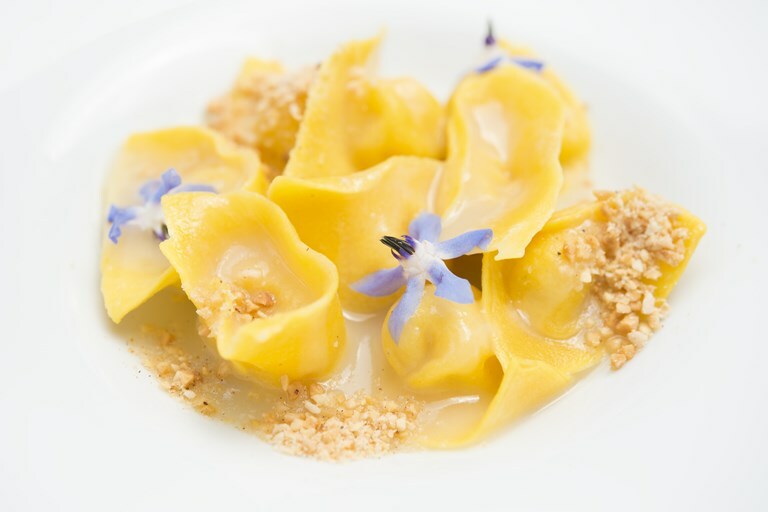 Garnished with edible flowers, this elegant pasta starter recipe can also be scaled up to make a delicious light lunch. As well as transforming her family’s traditional restaurant into somewhere celebrated for its modern, experimental cuisine, Aurora Mazzucchelli fights the cause for gender equality in the kitchen.